The oldest specialist bar association with over 1200 members needed a means of managing their membership and the many different types of events they organise throughout the year. 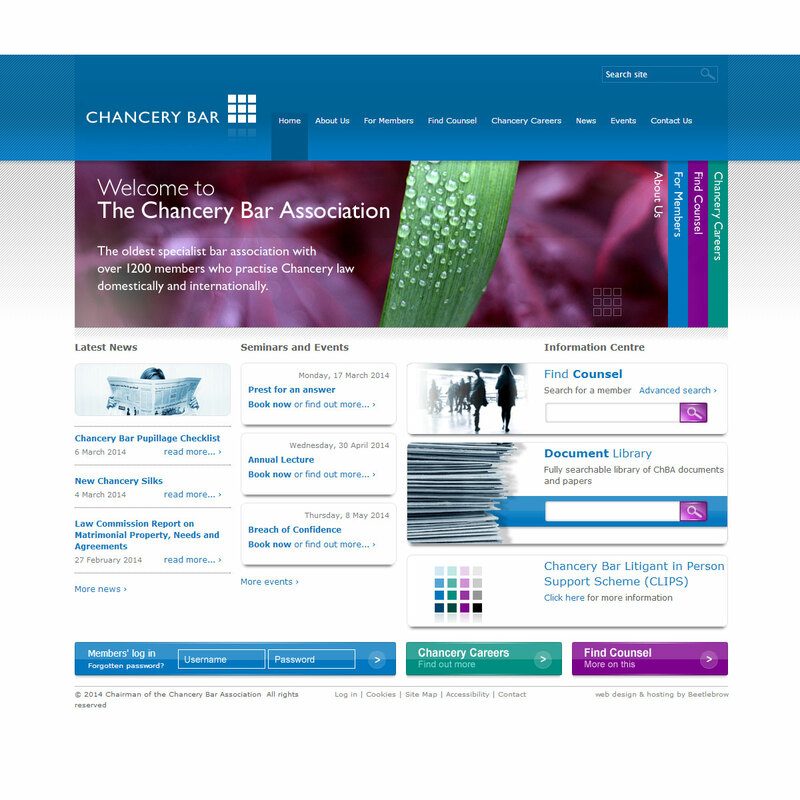 The CHBA runs conferences, seminars and events, both paid for and free, and maintains a membership of around 1200 barristers who practice Chancery Law both domestically and overseas. 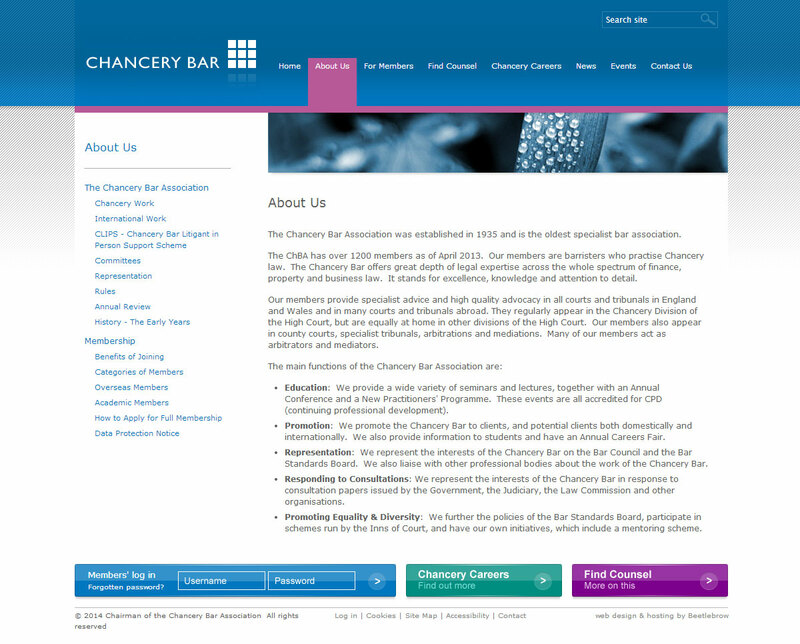 It needed a way to keep in touch with its members through a modern web site, which could accept bookings and payments, subscriptions and general requests, while at the same time making some of its member information available to, and searchable by, the general public who might be in need of a barrister specialising in Chancery Law. 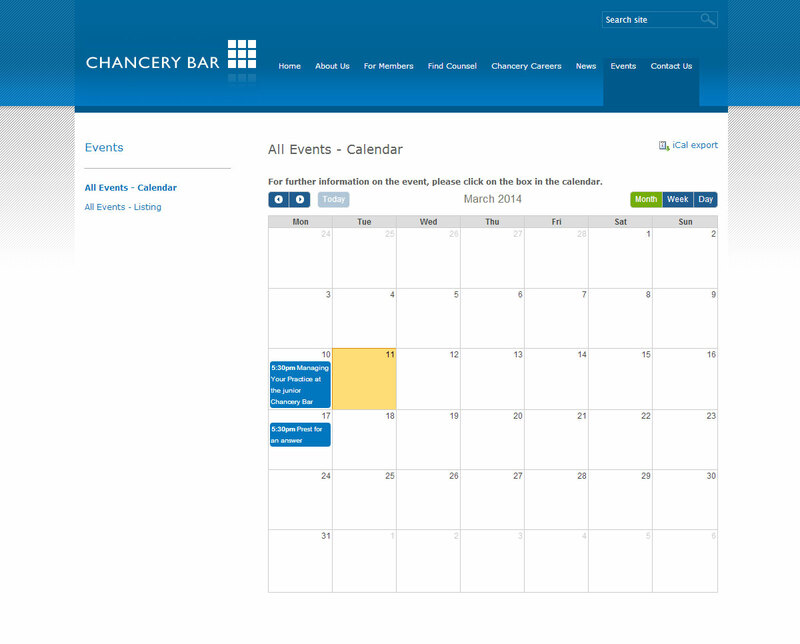 We built on the power of Zope and Plone to create a powerful event management plug-in tailored to the CHBA's needs, while retaining the flexibility to handle events and circumstances beyond the scope of the initial brief. The powerful member search allows visitors to the site to find barristers, arbitrators and mediators by name, region and Chambers as well as specify whether they need a QC. In addition, the site comes with tiered levels of access, giving members access to special events and documents, and committee members further access to a different sub-set of pages, documents and events.